Winter. O, Winter. We welcome you. O, those silvery-white speckles falling. O, those silvery-white specks accumulating at our feet. Snow in Florida? Not anytime soon! For those who have lived here in the Tampa Bay area for a few years, know that January is traditionally the coldest month. But snow? Not so much! If you are old enough to remember, our last official snowfall was January 19, 1977. Accumulation amounted to less than 0.5 inches, but something most of those old enough will never forget. Who could forget the Great Blizzard of 1899 when the only known blizzard to affect Tampa had the entire country in a mid-winter deep freeze. Tampa reportedly had “bay effect” snow coming in off the bay. Some remember that crazy winter. So, while we can expect colder temperatures outdoors, we know that the temperature reversals cause many more problems indoors than outdoors. Those temperature reversals are a breeding ground for mold! What? This is Florida in winter – this isn’t summer when 90° temps and 85% relative humidity reign supreme. Summer is when mold grows – right? Don’t forget about the condensation when it’s warm inside and cold outside. Remember the moisture on the windows? That’s condensation. That’s moisture. That’s like that moisture that gathers on the outside of the glass filled with your favorite cold beverage. That means it’s cold on the other side of the window and the humidity is elevated inside. That means dew point has been reached and condensation is forming. Let’s quickly go to the science class chalkboard. What does mold need to grow? 1.) Food – organic materials like paper products. 2.) Oxygen – we’re breathing aren’t we? The easiest of those elements to control is moisture. Humidity. Control the amount of moisture in the air – humidity – and the ability to control mold is increased. Plain and simple. OK, professor, how do we control humidity in the air? A dehumidifier would be nice – they are not that expensive for a small household-use unit. Nice to have. Running the heat doesn’t do it. Running the air conditioning does. Not that easy to do when it’s 50° outside. But that cold doesn’t last for only a few days, so when temps are back in the 70’s, turn the air on for a few hours. Most importantly, stop generating more moisture into the air. Cooking or boiling water on the stove? Turn the exhaust fan on and crack a window open to allow some outdoor air in. Nice hot shower? Turn the exhaust fan on and crack a window open to allow some outdoor air in. Getting that steam out makes a big difference. Wait a minute, professor. Mold isn’t white, is it? White mold is often confused with efflorescence, but when white mold starts, it normally moves quickly. White mold often looks like a spider’s web. White mold is most often found in attics – not somewhere we normally look around. So we don’t live in the colder climates where a white Christmas is likely to happen. 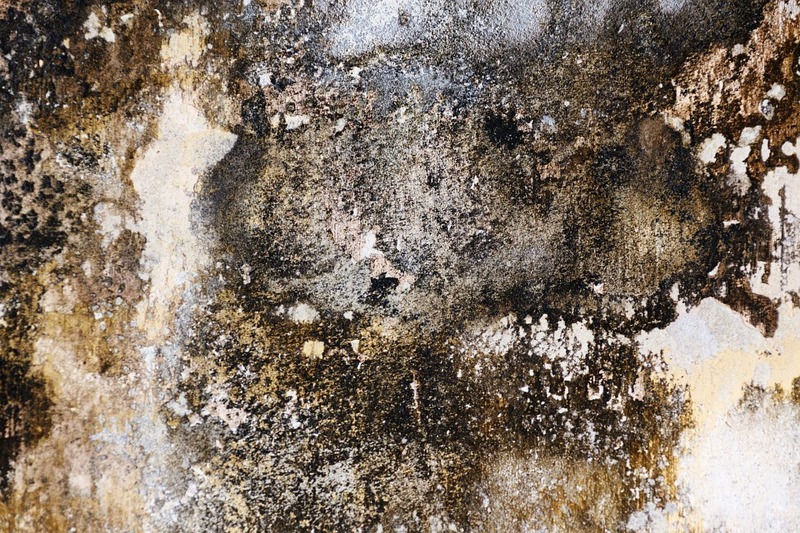 Let’s don’t make our homes a breeding ground for mold.